Dancing is a fantastic way of developing and maintaining health and fitness in a fun atmosphere and friendly environment. 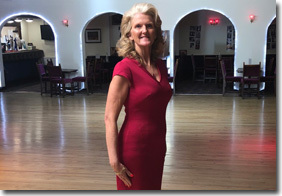 We offer group classes and individual tuition in the following popular dance styles. Quickstep, Rumba, Chachacha and Jive! Set step sequences are synchronised in to a huge variety of dances across the Ballroom, Latin American and Old Time styles. Caribbean rhythms blend with hot Latino music in a tropical cocktail of fun on the dance floor. Discover the mystery of Argentina and the magic of Buenos Aires in Tango - the ultimate dance of man and woman. Team and individual competitions for Juvenile, Junior, Adult & Senior sections. Fantastic fun in a team environment. Whether to catch up, get a step ahead or prepare for a special event, our team is on hand to tailor help to your individual preferences and needs.